I WANT TO KEEP MY ORIGINAL LOGO AND ADD A WREATH OF ORCHIDS AROUND IT AND CHANGE THE BRAND NAME IN "DOLCE VITA LIGHT" FONT UNDERNEATH. I HAVE UPLOADED THE DOLCE AND GABBANA LOGO THAT I WAS INSPIRED BY AND MY ORIGINAL LOGO. I HAVE ALSO ATTACHED A PICTURE OF ORCHIDS FOR REFERENCE. I'm looking for a professional to review my existing logo and come up with 3+ revisions or additional versions that are scalable and elegant. The logo represents a handmade designer clothing line so it is important that I work with someone who understands fashion brand references. I've uploaded the inverse version of my original logo. 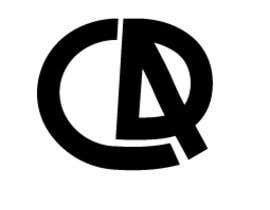 It represents a "C," "D" and an "A" for the brand initials. I'm posting this contest to find a designer I can hire consistently for larger projects like site design, banners, etc. ALL: Please read the description thoroughly. I would like the logo to include the text "Coeur d'Alene"
Can you post a screenshot of the current logo? The site isn't loading for me. Thank you. 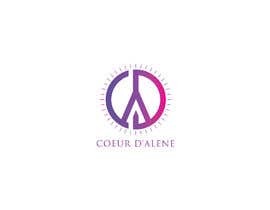 I'd like the logo revision to include the brand name in print "Coeur d'Alene" preferably in CAPS. I can see the site now! I'm really sorry for worrying you.